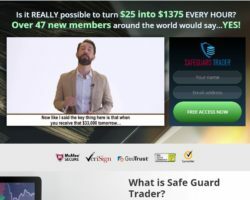 This is an alert review about a new binary options scam called „Safeguard Trader“. It is presented by David Hefner. 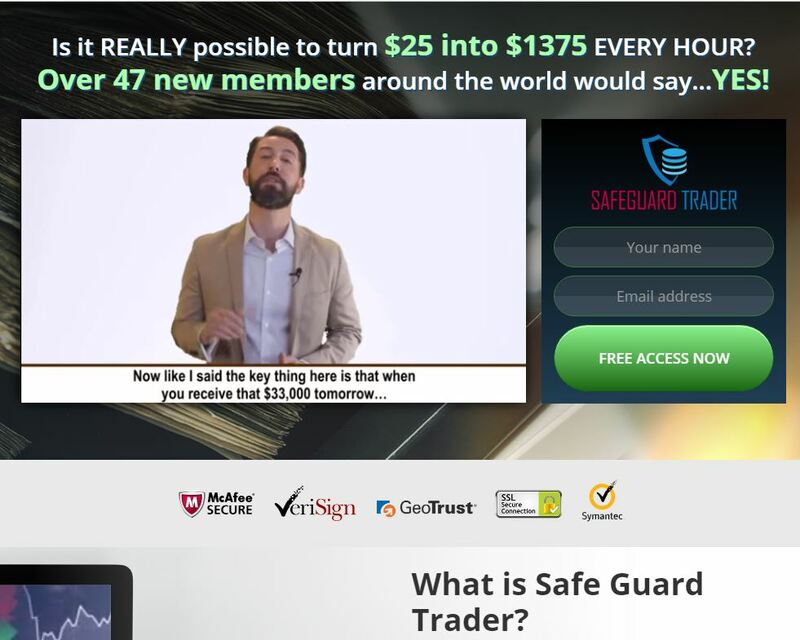 Safe Guard Trader is a binary options trading software that allegedly can make you $33,000 per day. And every day your earnings are transferred to your bank account, so you allegedly can have your thirty thousand dollars tomorrow. And Safeguard Trader is of course free, because we review only free millionaires programs. It is extremely easy to prove that Safeguard Trader is a scam. Because it is in fact a copy of the GPS Trader scam. It uses a very similar story and the same lies. As you can see on the image, David Hefner is a well-known binary options scammer. 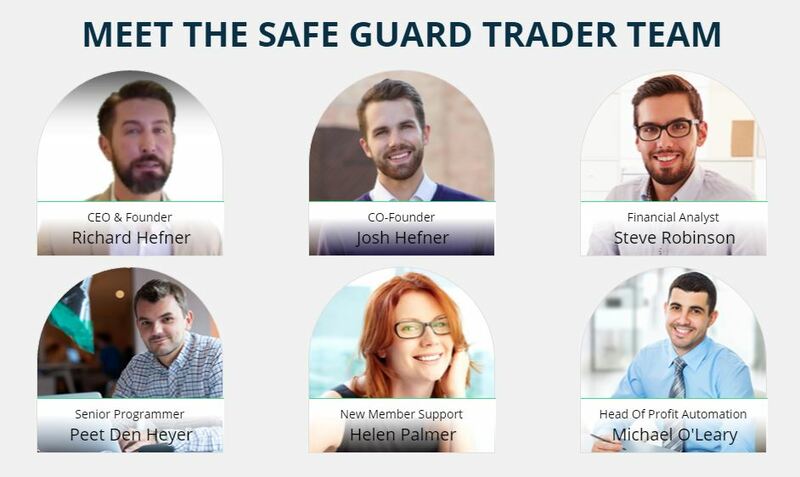 All the faces you can see on the Safeguard Trader web page are either scammers or people who have nothing to do with this scam, because stock photos have been used. So there is no real company behind this project, just a group of scammers. The Safeguard Trader software that is supposed to make you money is an app used by scammers only. It starts with a supposedly live trade, which in fact is fake. In reality your account remains empty with a balance of 0 dollars. Scammers won’t give you a single cent. So it is not free, you won’t be allowed to use the app unless you deposit money. So how does Safe Guard Trader work? People who created it get paid by a broker to refer new depositors. So their only aim is to make you deposit money with their broker, because it will earn them an affiliate commission. This is also why they created their software, they need you to believe that it can make you money, but in fact in is not based on a real strategy, so it will lose you money if you trade with it. Safeguard Trader is a scam that abuses binary options. The app cannot trader profitably, so don’t invest your money with it! We know about only one proven way to make money with binary options, you first have to learn trading and build a profitable strategy on a free demo account. Don’t trade live with your money until you are profitable on the demo. Is plus 500 a scam ? Hi, Plus500.com is regulated Forex and CFD broker (no binary options).